You can't beat the flavor of a freshly baked cinnamon roll and if you've never tried one we suggest you try using this infographic from RJ Zaworski. 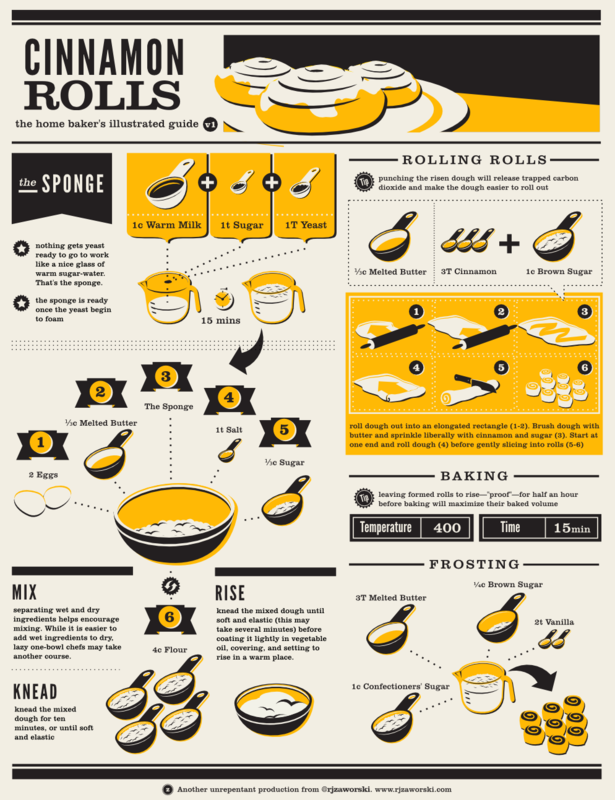 The designer has created a great visual recipe for how to make the perfect cinnamon rolls every time. From creating the perfect dough mix to getting the best of your yeast and exactly how to roll the roll, this visual recipe is easy to follow and packed full of great tips to ensure you make a tasty roll.